How resistance training can help you drop fat, fight off old age, and improve your health. At the end of our Outdoor Workout session this week we were having a bit of a chat when a client started told me about a man who only started working out when he was in his 80’s and how at 96 was in better shape and stronger than when he was younger. This shows how it is never too late to start getting in shape and to start weight training. We talked about the ‘Use it or lose it” principle – if you do not use your muscles then they deteriorate as do most things in our body if they are not used regularly!! There are many of benefits to resistance (weight training) other than strengthening your muscles. Resistance training (which does not mean how to resist doing some exercise), is any exercise that causes the muscles to contract against an external weight or resistance. This external resistance can be weights, dumbbells, kettle bells, medicine balls, elastics, bottles of water, sand bags or any other object. There are different ways of performing resistance training depending on the desired outcome or goal. If you are thinking- I just want to lose weight I dont need to lift weights, weight training is just for men. Then keep reading. Resistance training doesn’t just build muscle, it can also really help with fat loss. By increasing the size of your muscles through weight training you will help the body burn off extra calories every day,( even while you are sleeping). Thats right for every pound of of muscle you gain, your body can burn around 50-100 extra calories every day. Please note I did say resistance training will aid FAT LOSS, which is not the same as weight loss. There is a huge difference which is why you do not need to get hung up on what the scales are saying. Body composition is more important. Muscle is heavier by volume than fat. So while you are losing fat you may well be gaining heavier muscle. So the scales will not be telling you the full story. Simply seeing how much you weigh isn’t very helpful. You need to measure and weigh yourself to plot your fat loss. A woman weighing 11 stone with 19% fat will look much smaller (and be much healthier) than a woman at 11 stone with 35% fat. They weigh the same, yet the composition is different. People are often wary of staring weight training.They often feel that they will be intimidated in front of others. Women often fear; becoming more masculine, the risk of injury or think that they are too old to start. Resistance training is suitable for men and women. Most women are not able to increase their muscle size dramatically due to their low levels of testosterone. So it is unlikely that you will look like a body builder. Developing muscle size and strength can actually reduce the risk of injuries. Resistance training not only strengthens the muscles but also strengthens the tendons and ligaments, improving the bodies ability to withstand stress and pulls, thus protecting your joints from injury. It also contributes to better balance, which can help you maintain independence as you age. Weight training also helps us slow down the symptoms of old age. It can reduce bone deterioration and can help build bone mass, thus helping prevent osteoporosis. After the age of 30 we lose 3-5% of our lean muscle mass every decade. This contributes to the slowing down of our metabolism and also makes day to day tasks gradually harder to perform as we age. Strength training can help you preserve and enhance your muscle mass what ever your age. Their is also evidence that weight training can have a positive affect on insulin resistance, resting metabolism, blood pressure, body fat and gastrointestinal transit time. This in turn can reduce the signs and symptoms of illnesses such as diabetes, heart disease and cancer. Resistance training also energises you and elevates your mood through the release of endorphins. I know I always feel so much better and more alert after a weight training session. So you see it is vital that you do not shy away from doing resistance training if you want to lose weight, tone up and make your day to day life easier as you get older. So what does it take to reap the benefits of weight training? Two to three strength training sessions a week lasting 20 to 30 minutes are enough for most people to gain all the potential health benefits of strength training and you should see noticeable improvements in your strength in just a few weeks. Resistance training can be done at home or in the gym. Here are some examples of types of resistance training. Resistance bands / elastics. Resistance tubing is inexpensive and lightweight. The tubing / elastics provide resistance when stretched. .
Free weights. Barbells, dumbbells, kettle bells, medicine balls, sand bags are traditional strength training tools. Weight machines. Most fitness centers are equipped with resistance machines. Other. Heavy battle ropes, suspension straps, power-bags, harnesses, weighted jackets, ankle weights, running up hill, flipping or dragging tyres are a variety of other popular forms of resistance training. You can be creative and use anything that provides a weight or resistance. E.g. DIY dumbbells made from 4 pint plastic milk bottles filled with water or sand. When you have your doctor’s permission to begin a strength training programme, start slowly. Ensure that you always warm up with five to 10 minutes of aerobic activity, and some stretching. Start with a weight or resistance heavy enough to tire your muscles after 8 – 12 repetitions. (The last reps should feel quite hard to complete). Pick exercises that work all the muscle groups. Rest 1-2 full days between exercising each specific muscle group to allow time fro your muscles to repair recover. When you can easily do more than 15 repetitions of a certain exercise, gradually increase the weight or resistance. STOP if you feel sharp pain or have swollen joints. Delayed muscle soreness (sore muscles1-2 days after the training session) is normal. Strength is a key component of our overall health and fitness and is important from cradle to the grave. 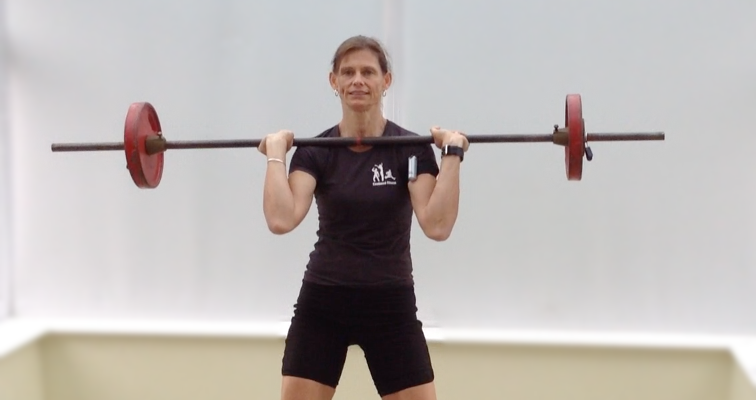 Strength training helps to: develop strong bones, control body fat, reduce the risk of injuries, improves endurance (stamina – stops you getting tired so quickly), helps prevent a number of chronic conditions and generally slows down the effects of ageing. As with the man in his 80’s it is never too late to start getting in shape and improving your health, well-being and quality of life. You owe it to yourself. 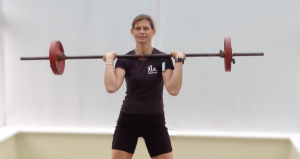 If you would like further advice on how to get started with weight training and the correct exercise selection and technique for YOU then CONTACT US.